Join NSU Art Museum Fort Lauderdale and the David Posnack JCC for an afternoon of art and film. Museum and caf� open at noon. Enjoy a docent-led tour of Remember to React that highlights West African art at 1:30 PM. 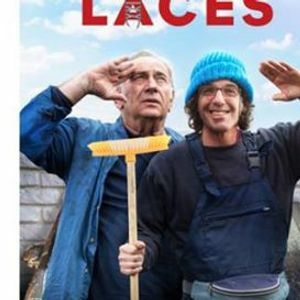 The tour will be followed by a screening of Laces at 2:30 PM. This Israeli film tells the story of a complicated relationship between an aging father and his adult, special-needs son whom he abandoned as a small boy. Through its portrayal of a relationship full of love, rejection and co-dependency, it illuminates and questions the importance of human life and human connection.